As much fun as it is to “Lose the Map” and wander around a city with no itinerary, there are times when I’ve realized way after a trip ended that I missed some niche attractions I really would have wanted to see. To avoid that ever happening again, the Sygic Travel app is definitely going to come in handy in my future travels. There’s nothing worse than seeing a great themed bar in Tokyo featured in Conde Nast, or reading a blogger’s incredible account of museums hidden in the outer arrondissements of Paris, just days after you’ve visited either destination. You end up kicking yourself for not checking out potential places you may be interested in visiting. Sygic Travel app helps you avoid the mess by showing you all the spots YOU want to see and giving you the time and transportation modes you need to get there (plus a lot more). Or if you’re like me, use it to find the best nightlife spots. Disclosure: Sygic Travel did give me a free lifetime premium license in order for me to write this review. However, I have not been paid for this post, and all opinions are, as always, my own. 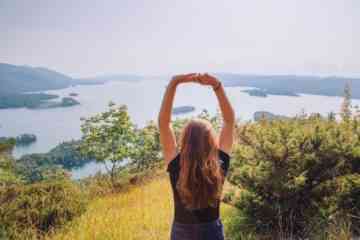 I downloaded Sygic Travel App to test out how useful it would be for my travels (and even my explorations around LA), as well as to check how useful it would be for finding these little local spots in dream destinations, and I thought I’d give you guys the low down on what the app is about. The good thing about Sygic Travel is that, unlike a guidebook, you can filter the spots that pop up on the app’s map so you can just see local hotspots that would interest you. Plus, all the destinations, their locations on the map, weather information for the day, transport times and modes of transportation, are available to you in one easy-to-access app. If you hate shopping (guilty!) but love the outdoors and sightseeing, turn on these filters so you can exclusively find places you care about. 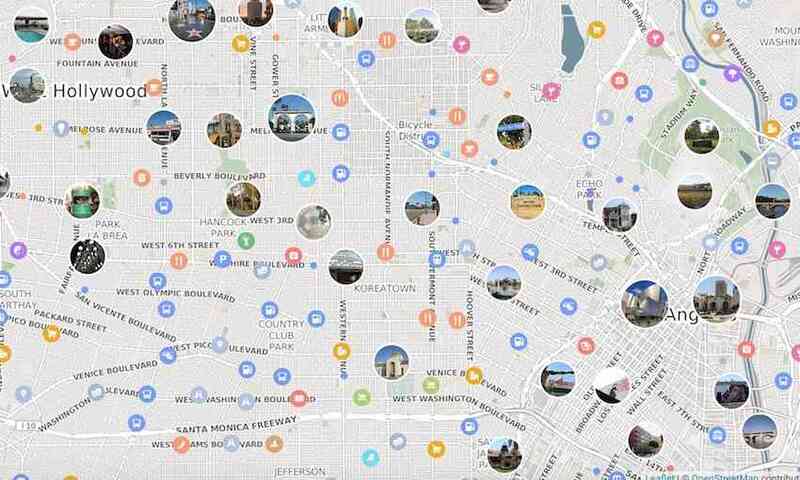 You can search for spots in an area/neighborhood you’re trying to visit for the day or see what’s near you at the moment. Best of all, you carry your itinerary with you in your pocket, so you can always change it at the last minute. Those of you who read my blog regularly know how much I espouse letting your travels take you where they may, and following your instinct on last minute, impulsive excursions, so I would never recommend anything that doesn’t give you a LOT of flexibility. When you open the app, input your destination, and then you will get several options to help you plan your trip. You can open up the map, set your filters and start looking about, check out existing themed tours, look into hotels and car rentals, and get a good idea of the weather conditions so you know what attractions you may have to skip. Some destinations will also have options like a Metro Map. Enter the length and days of your trip. This is important because the Sygic app is great at calculating distances between destinations you pick, and how much approximate time you will spend there, so you never overbook your days and end up feeling exhausted or like you’re trying to cram too much in one day. You will get possible modes of transportation between destinations and the time each form of transportation will take. When I said the app gives you EVERYTHING you need, I really meant it. Want even more than a basic travel itinerary? Further filters include pretty much anything you might find yourself needing while walking around a new city. Running out of local currency? Turn on the “bank” filter. Need to find a public restroom? There’s a filter for that too! Hot day and you just want to swim and relax for a couple of hours? The Sygic Travel app even includes a “swimming pool” filter for this, so you can find a great spot to dive in and cool off nearby. 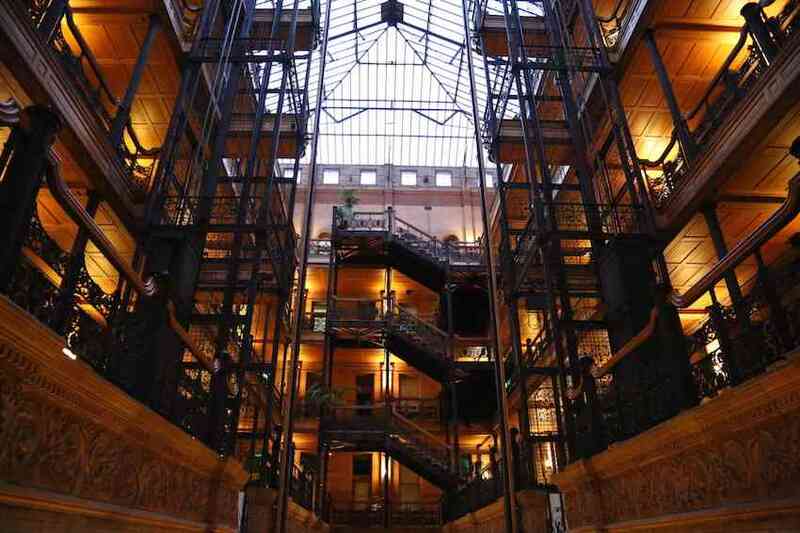 The Bradbury Building – one of the most beautiful spots in downtown LA too many people don’t know. In order to really test the app’s usefulness, I thought I’d use it for some of the downtown and East Side neighborhoods of LA, which I do somewhat know, but not as well as the West Side. 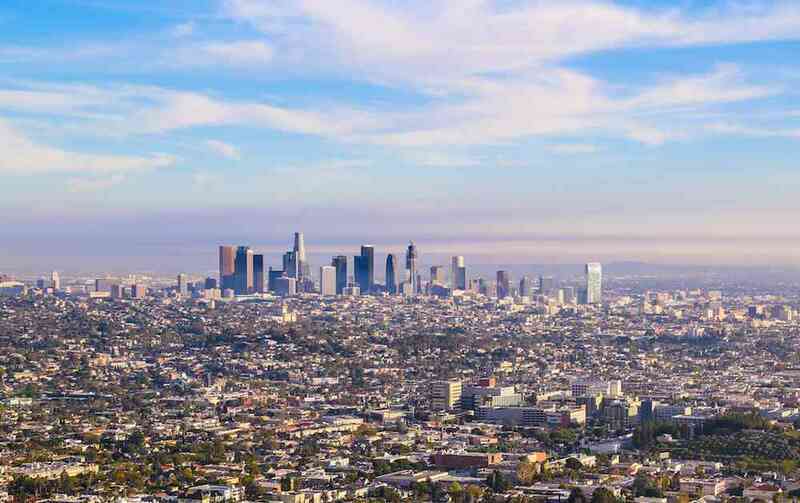 After years of reading blog posts, magazines and insider tips about cool Los Angeles spots, plus walking around neighborhoods endlessly, I figured if Sygic Travel could help me discover places I didn’t know about in LA, my home of seven years, it would be really worth it. And to my surprise, I now have a full weekend itinerary of places to visit in East Side LA that I never even knew existed! I found a historic restaurant in Boyle Heights (Philippe The Original), cool architectural landmarks in downtown LA and Los Feliz (Lummis House), scenic avenues with picturesque houses (Carroll Avenue), and intriguing galleries (Hauser Wirth & Schimmel) I had never come across. If I could find all these hidden spots in my home city, which I love to explore almost any chance I get, I guarantee you will be able to find some REALLY great local spots in whatever city you choose to visit. Download this everything-you-need-in-one-place Sygic Travel app on Google Play or the App Store for free, or use it on your laptop first to get a feel for it. If you want access to all the possible options the Sygic Travel App offers so you can edit your itinerary on the go and download offline maps, the cost of a premium license varies by country and currency, but is generally a very affordable one-time lifetime purchase. Even if you don’t have a trip coming up soon, you can download the app and use it as inspiration. The last bonus the app offers is plenty of 360-degree videos and photos of destinations you may want to visit. 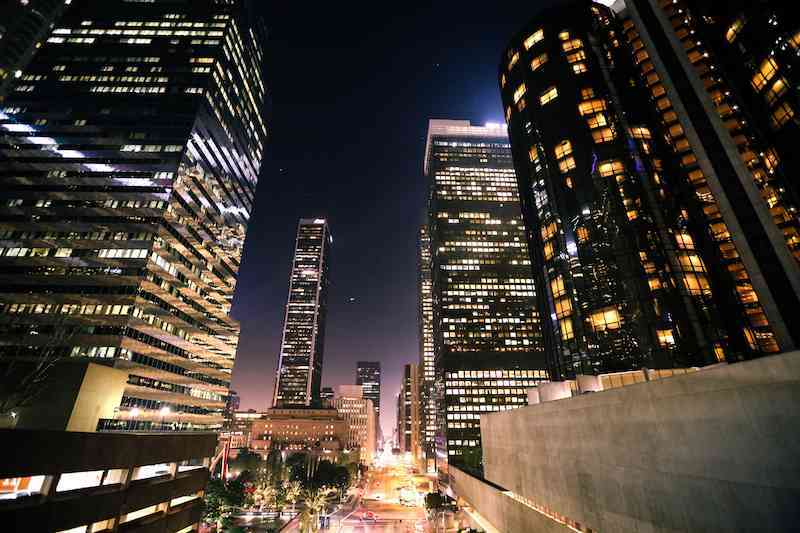 So look up your dream city, and start planning away! Download Sygic Travel App here, and tell me about your experience using it below! Otherwise, comment on what apps help YOU on the road! Pictures are looking so beautifull. And your post is so lovely. This app is more than your destination tracker, definitely works for travelers.